We started out over 30 years ago with a simple goal: to provide the highest-quality hot tub and swim spa products and services possible. After more than 1,500 custom built-in installations of all types, we still consistently achieve that goal. Personalized placement of hydro-therapy jets. Professional advice about ideal tub and deck placement. Heating, pump equipment and accessory selection. Continued service and support after completion of project. 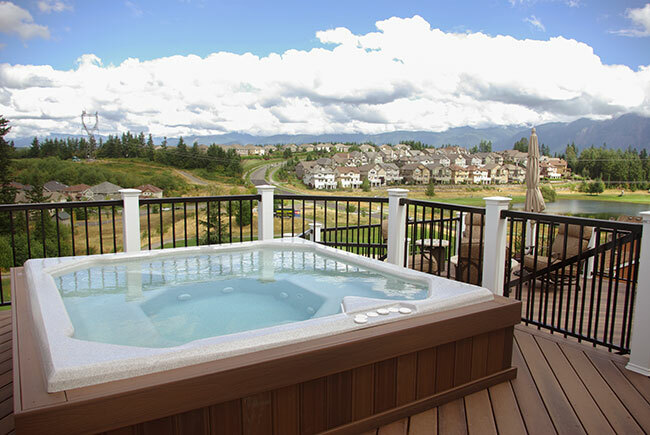 We provide the highest quality, full-service custom built-in hot tub and swim spa installations in the Northwest. We serve our customers with honesty and integrity, supplying them with personalized, professional products and services to meet their needs. Our Elite Package guarantees the fulfillment of this promise. We are committed to the complete satisfaction of every customer and to providing continuing service as their needs change. "Damon, the owner, was super friendly, helpful, and knowledgeable. We had some specific needs for installation, and he worked with us every step of the way until we were completely satisfied, even to the point of coming out to help the installation himself and make sure it went without a hitch. Given the quality of service, I would have expected to be charged a little more, but the spa prices were similar or better than other dealers even just up the street! I would not hesitate to recommend this dealer to anyone interested in buying a hot tub. Ours has been great, and I really could not have asked for more. We did a lot of research on the internet and in person, visiting dealers all around tacoma, and in the end Elite Spas Northwest was the best option by far." Our continuing goal is to provide the highest-quality products and services possible. Every project offers new challenges and possibilities, and is complete only when total customer compatibility and satisfaction is achieved. My hot tub isn't heating / isn't pumping / is losing water. Can you help? We repair lots of problems with spas and pools. Head over to our repairs page for more information and then contact us about your problem. We'll be glad to help. I have a faulty spa, but it isn't one of yours. Can you still help? Of course! It is a routine part of our business. I want to come to your workshop to get fitted for a custom spa. Do you take walk-ins? Visits to our workshop can be made by appointment. Fortunately, making an appointment is easy, and our scheduling is flexible. Contact us, and we will gladly communicate with you to arrange your visit. I see that you repair existing hot tubs, swim spas, and swimming pools. Do you install new swimming pools as well? We will happily repair an existing swimming pool, but we leave installing new ones to businesses with that as their focus. 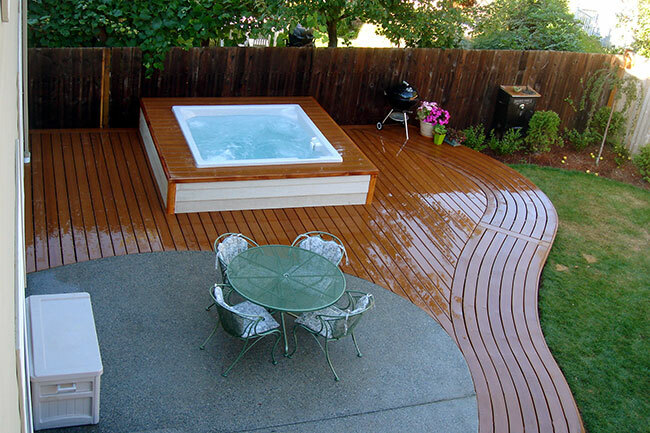 Our installation expertise works best with hot tubs and swim spas. Why isn't the pricing on the website exact? Each job we perform is unique. The materials, time, and labor required for each job varies depending on the individual situations of our customers. Some custom spa installations involve us constructing a brand new deck in which to build the spa, while others involve landscaping or renovation of an existing living space. We will be glad to provide you with a quote after discussing your situation. 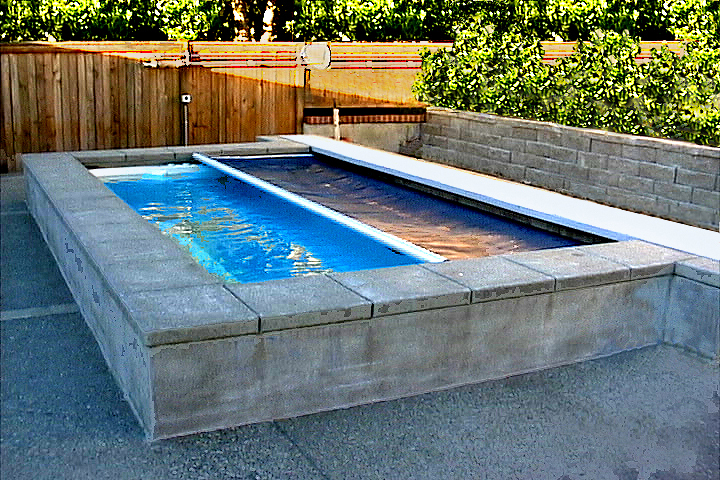 Will you build a custom hot tub for me so that it stands freely in a portable box above ground? Yes, we will build a portable tub if you prefer it. Normally our installations focus on building the tub into a deck, room, or the landscape, but we have created custom portable tubs before. For the sake of giving you the best experience possible, we do want to make sure you know the potential drawbacks of portable tubs. A portable tub tends to be noisy due to the pump being squeezed in next to the shell — along with being more difficult to maintain due to the limited space available. Such designs generally require the user to climb up something to get in the tub, which makes accessing it harder, especially for people with physical disabilities. When we do a built-in hot tub installation, we can strategically place the pump, heater, and filter equipment so that any noise is muffled, allowing the user's experience to be much more relaxing. We can always build the tub with ease of access and maintenance in mind as well. In the long run this improves the experience so much for the user, and makes potential troubleshooting much easier, making it a more attractive option for most than a portable unit.